Matched Stereo pair of SE1as small diaphragm condenser microphones in wooden case with stereo mounting bar and case. Cardioid polar pattern. Building on the incredibly popular SE1, the SE1A retains the same capsule but combines this with all new, super-quiet electronics, all housed in a superbly restyled chassis. This end-fire small diaphragm condenser microphone really is astonishing value for money. 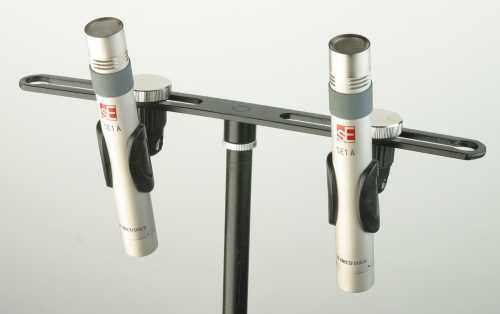 Great for drums, pianos, and acoustic stringed instruments the SE1A is a must have for any size studio.